The fall soccer season for local youngsters is kicking off. Under the auspices of the American Youth Soccer Organization (AYSO), teams in Region 78 are beginning their 41st season of youth soccer. Organized and managed entirely by local volunteers, Region 78 serves the Hollywood, Wilshire and surrounding communities. The games are open to players who registered in July and August. 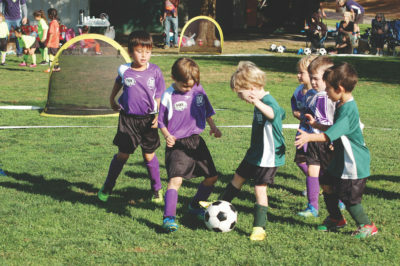 Players active in the 2018 fall season are ages three to 18. Last month’s activities included player evaluations, coach and volunteer training and team assignments. The first games of the regular season for most divisions will begin on September 8 and 9. Games are played at Pan Pacific Park and other local fields. For more information on the schedule and to register, visit ayso78.org.